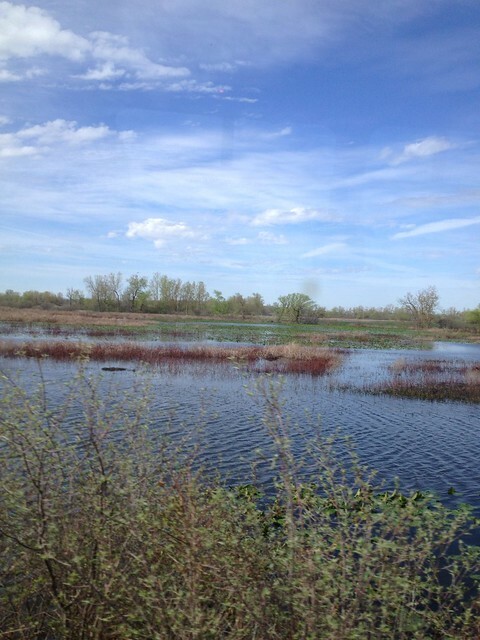 I took advantage of The Blue Goose Bus Tour offered through the Ottawa National Wildlife Refuge (ONWR) as part of the Biggest Week in American Birding taking place here along the shores of Lake Erie in northern Ohio. I was a bird with strange feathers on this adventure. 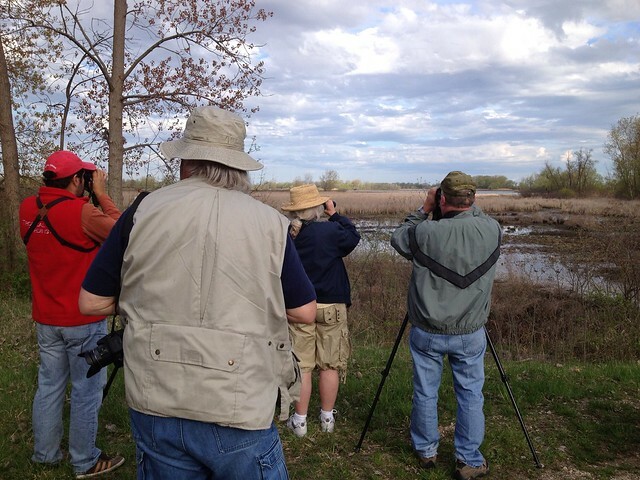 Most of my trip companions were real birders, with binoculars, telescopes and telescoping cameras. I had my eyeglasses, a point-and-shoot camera and paper and pen. Guiding us on the trip was a staff member from Tropical Birding out of Quito, Ecuador. Andreas had started with the bird migration in the Yucatan Peninsula, then followed them to High Island in Texas and now to the Lake Erie shores. It was his first time to the area. 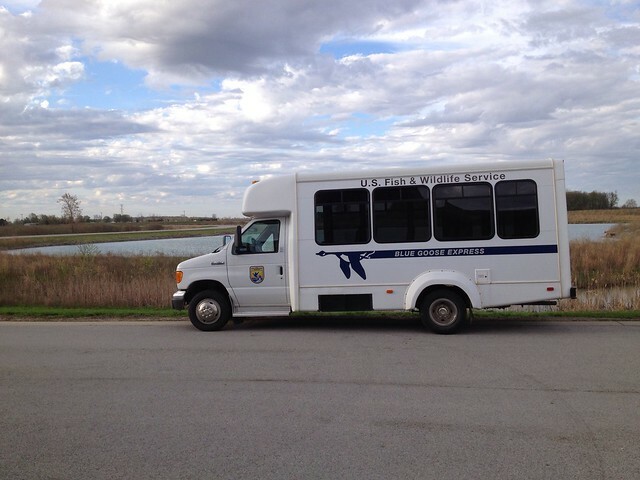 ONWR intern Drew drove the bus to the Darby Unit, near Port Clinton, which is closed to the public. It is a wonderful marshland, bits of land surrounded by water and trees, perfect for birds. Being a birding neophyte, I expected to see birds clamoring for space, a bit like beaches filled with tourists. But it wasn’t quite like that. 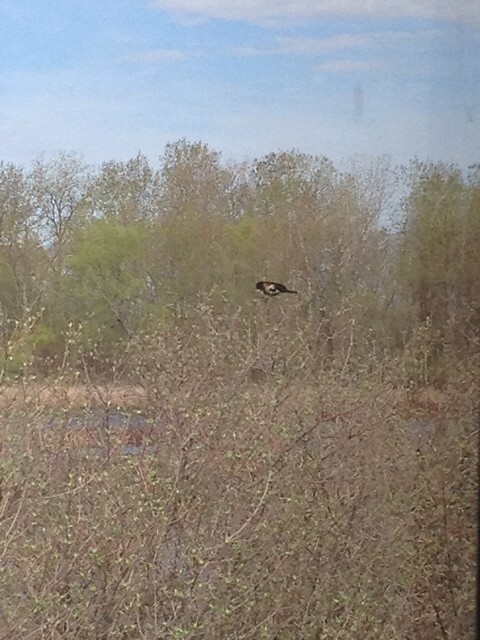 I really needed my husband’s binoculars, because the birds were mostly up in the trees or way out in the marsh. Take a gander. Luckily Andreas and other people on the tour would set up their standing telescopes, find a bird species and then let me look. See the list of all the birds I saw below. See more pics of my trip here. The Blue Goose tour is probably a bit long for kids under 12, but there are lots of other opportunities for families. They have activities targeting kids 3-5 and 6-10. I heard the Vulture Vomit presentation is a hurling good time! 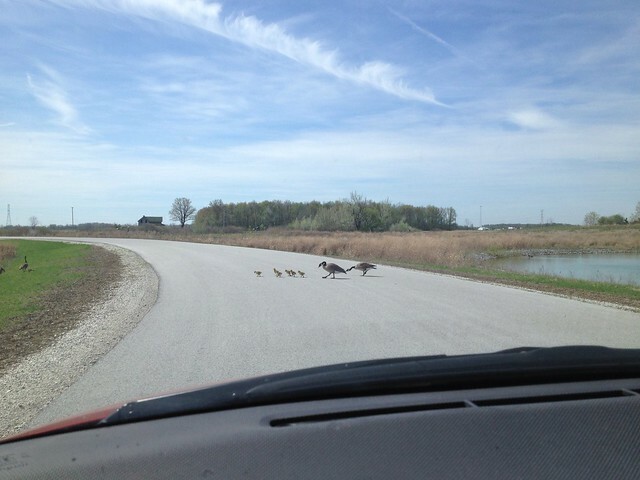 As I was leaving the refuge, a gaggle of geese and their goslings crossed my path. Very fun! We watched “Big Year” this fall and I’ve been hankering to try a tour one of these days! You should plan on coming next year — we are on the migration path, although I guess maybe lots of places are. 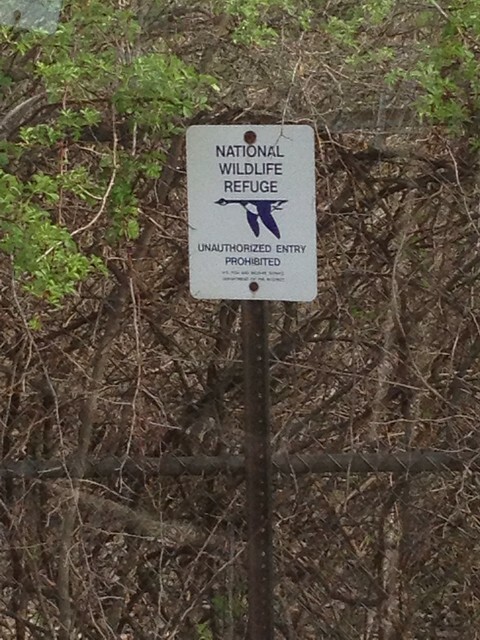 But, Steve and I are on THIS migration path!